Four suspected ritualists are in custody for allegedly killing a 12-year-old hawker in Kwara state. The suspects named Salawudeen Azeez 18, Ismail Suleiman 19, Abdul Rafiu Aina 35 and Ibrahim Jimoh, recently killed the teenage hawker identified as Habbah Adamu in Bala village, Kwara. According to reports, the suspects had met a herbalist who gave them instruction to get a little girl’s heart, intestine and other body parts to boost their Yahoo business. Two days later, while laying ambush in a bush path, the little Habbah came hawking Awara (cheese). They overpowered and strangled her then used a knife to cut her belly open and removed her intestine and heart. 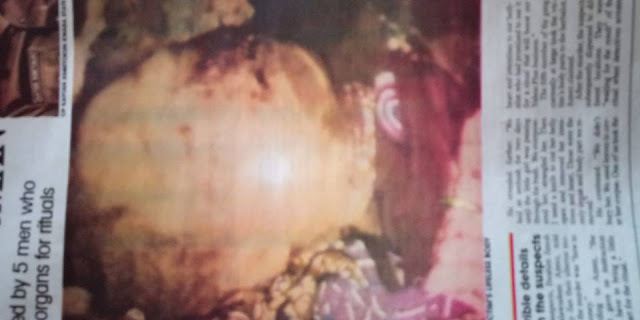 After the murder, they dispersed to different locations and were waiting for results of the ritual when detectives arrested them in Akure and Lagos States.